The Nissan Elgrand is a luxury MPV 8 or 7 (Captain Style) seat people carrier manufactured by Nissan since 1997. The first generation of the Nissan Elgrand was produced from May 1997 until May 2002. Various engine combinations were available including petrol and diesel. The cars had a 4 speed automatic nissan elgrand for sale UK registered direct Japan omport supplied fully UK Registeredtransmission and came in either 2- or 4-wheel drive. Trim levels varied but were all generally considered to be of a high almost luxury standard with aircon, wooden trim and 1/2 leather interior available. The 2nd generation Nissan Elgrand available from late 2002 uses either the 2.5l or 3.5l V6 VQ-series engine combined with a five-speed automatic transmission with Tiptronic gearbox for better response. The Nissan Elgrand 2nd Generation was the direct rival competitor to the beautiful Toyota Alphard. 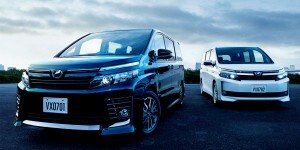 The Alphard was generally more expensive than the Elgrand. On the Elgrand the additional transmission controls include Power and Snow settings, as well as 4×4 power options. It employs a multi-link rear suspension with ventilated disc brakes all around. The 2nd generation exterior is quite similar from that of its predecessor, but is now equipped with electronically remote-controlled doors, side mirrors with signal lights, a rear roof spoiler, and 16- (XL) or 17-inch (HWS) aluminum alloy wheels. The new front styling, including a chromed grille, gives the Elgrand a sportier look. Interior features include captain-style seats, an eight-speaker sound system with an optional nine-speaker system by Bose and a TV/DVD player with a nine-inch (229mm) screen. The Elgrand is also equipped with an eight-inch (203mm) LCD monitor in the dashboard for the Carwings Vehicle Information System (also known as VIS). Optional extras include heated front seats, electronic curtains and finer levels of interior trim, such as wood-grain effects on fascia panels and the steering wheel.